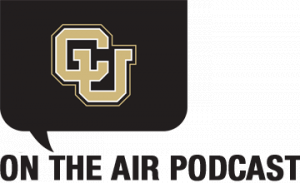 Creating and reaching a community can be done via a podcast and that is exactly what the University of Colorado has done with CU on the Air Podcast, a podcast started by the University Relations department in 2017. Canva, and how the tool can be utilized by podcasters was a focus point of conversation between Ken and MacKenzie, and the importance of learning new skills. Going back to the podcast, they talk about how Ken McConnellogue and his team release episodes monthly discussing and focusing on professors and their research and outside projects that they believe members of the surrounding community would be interested in. 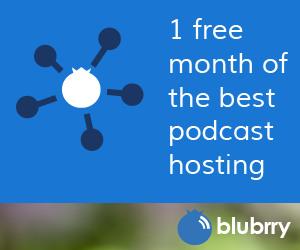 They wrap up the episode with ideas and reasons to engage in the local community with your podcast. Big thanks to Cathy Beuten and Allison O’Malley of the CU office for helping coordinate the episode! Thanks for listening, and please subscribe to the show via your favorite podcasting app. Using Canva For Your Podcast Artwork: From the Podcast Host. CU on the Air: Hosted by Ken McConnellogue from the University of Colorado. Columbus Podcast Meetup: We get together monthly and discuss varying podcast topics.